Description This Brunswick, Georgia hotel has an indoor pool, free internet access and non-smoking guest rooms. Comfort means premium bedding spacious rooms flat-panel TVs free Wi-Fi and a hearty breakfast at the non-smoking Comfort Suites Golden Isles Gateway. The four-story Comfort Suites was built in 2009 and offers interior-corridor access to rooms with city or courtyard views. Flat-panel plasma TVs with premium channels free Wi-Fi microwaves mini-fridges coffeemakers pillowtop mattresses and sofa beds are included on the list of comforts offered in the hotel's 60 suites. Guests can mix and mingle over light fare and drinks during the complimentary nightly reception and wake up to free morning treats including eggs bacon waffles biscuits and gravy pastries and beverages. Relaxing is a breeze anytime of year in the indoor pool and the fitness room offers a space for keeping up with workout routines. The 24-hour business center offers computer copy and fax services there are coin-operated laundry facilities on-site and outdoor parking is free. 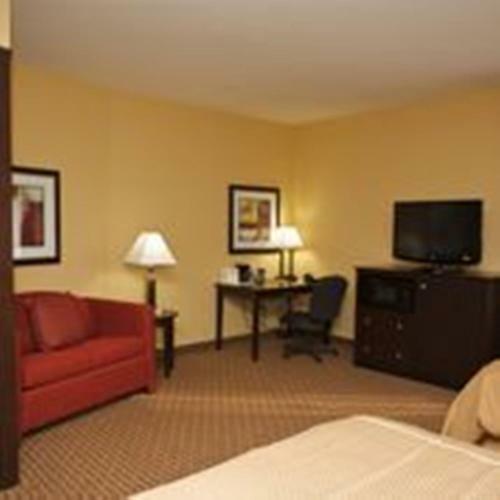 Located six miles from the heart of historic Brunswick the Comfort Suites offers guests quick access to I-95 one mile west and an easy route to Blythe Island Park just seven miles southwest. Fort Frederica National Monument is less than 20 miles east and sports swing into play at the Coastal Pines Golf Club a 12-minute drive north. Guests flying in are within two miles of the Brunswick Golden Isles Airport. 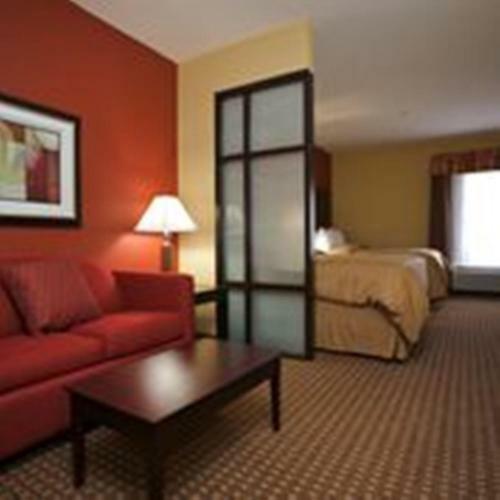 Add Comfort Suites Golden Isles Gateway to your free online travel itinerary.